For high-accuracy measuring instruments, even small deviations from national standards may cause problems. 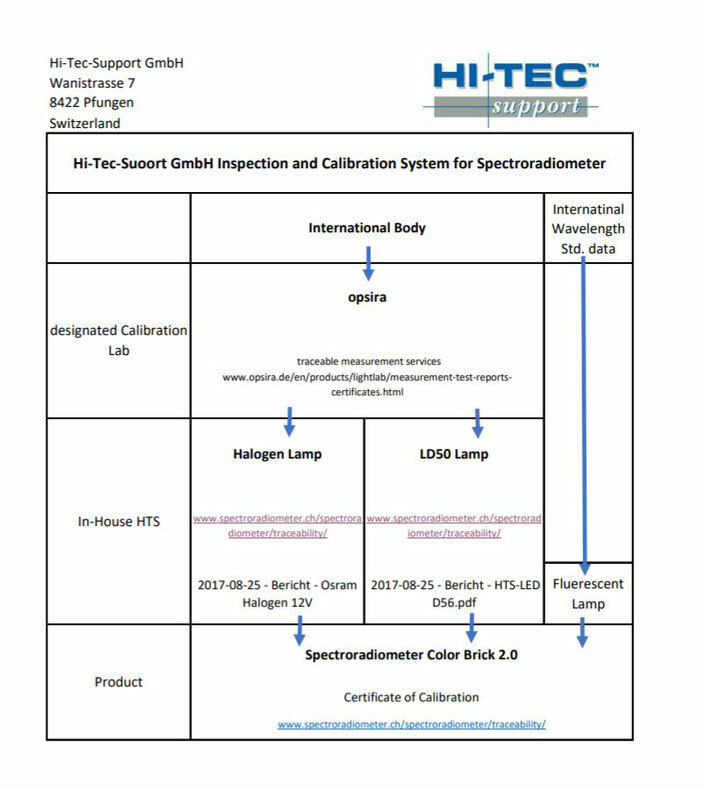 To avoid such problems, maintenance of Hi-Tec-Support's in-house standards is performed by periodically re-calibrating each standard to international standards. These standards are selected according to the functions of the products being sold. Please see following calibration charts with details about traceability for our Spectroradiometer ColorBrick 2.0.